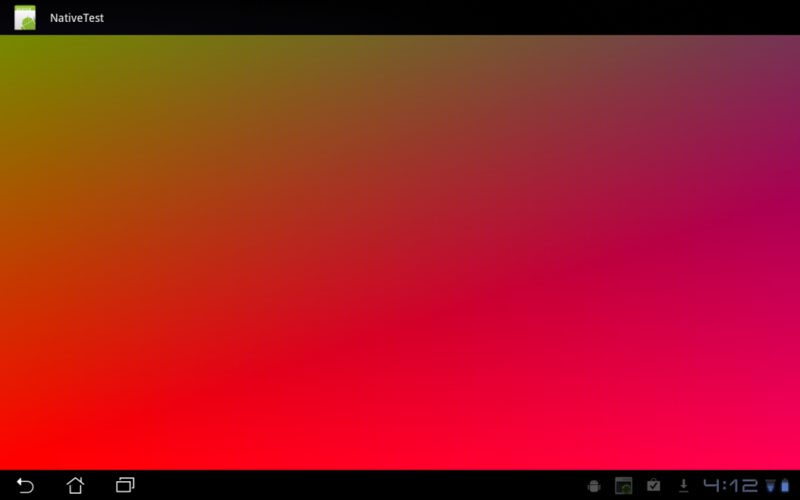 I have been testing the Android development tools. From what I have learned, the tools are separated into two main products: the Android Software Development Kit (SDK) and the Android Native Development Kit (NDK). The SDK was the first development toolkit for Android, and it only allowed applications to be written using the Java programming language. The NDK was released some time later as a toolchain to enable developers to write parts of their applications using native programming languages (C and C++). 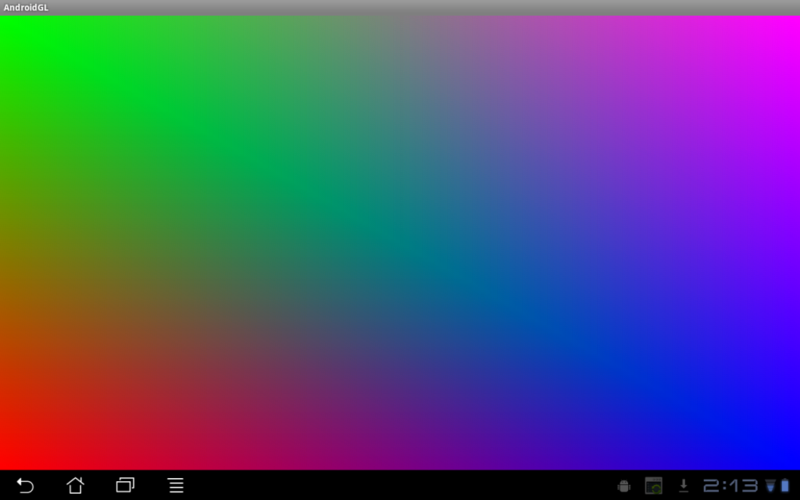 One of the first programs I developed to get a feeling of what the Android SDK looked like was an OpenGL ES App that painted the background using a color degrade. I wrote it a couple of months ago, but today was the first time I ran it on a real Android device. Other than trying the SDK, what I really wanted to do was to experience how hard it would be to rewrite part of the App in C and then having both integrated. It turns out adding components built using the NDK is not very hard (for pure C code), so I decided to try moving all the rendering code to a plain C function. I started a new project and coded all the rendering logic in a C function that I called “render“. Then, the NDK was used to compile the C code into a JNI-compliant shared library and, finally, I wrote a simple Java wrapper that calls into the shared library’s render function to do all the drawing. The wrapper is responsible for creating the Android “Activity”, setting up an OpenGL ES context, and calling the native C function. 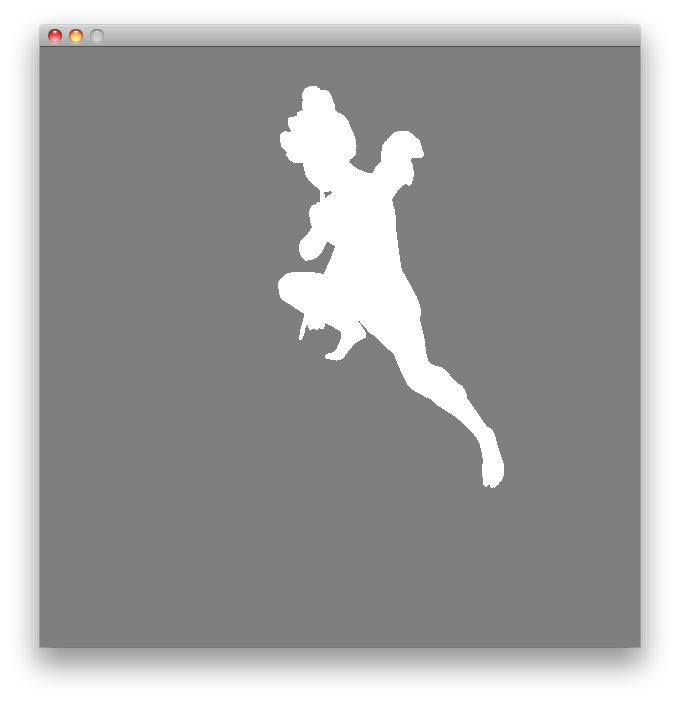 The native C function clears the background and does all the drawing. Android OpenGL ES rendering from C code. Clearly this is a very simple example where the C code could be tailored to fit JNI’s requirements from the start. I expect porting an existing C++ codebase to be much more difficult. However, I am looking forward to continue delving into Android’s development tools. Sometimes the 3D models we have to display provide no information other than vertex data for the triangles they define. This might be enough to approximate the shape of the object, but having no normal data, we are severely limited if we want to apply realistic lighting on the object’s surface. Without lighting and textures, it’s very hard to depict the 3D shape of objects. An Angel Model lit but with no Normal Data. To help solve this problem, Vortex now provides a simple Normal generation algorithm that “deduces” smooth per-vertex normals from the geometric configuration of the 3D model. The results are nothing short of astonishing. 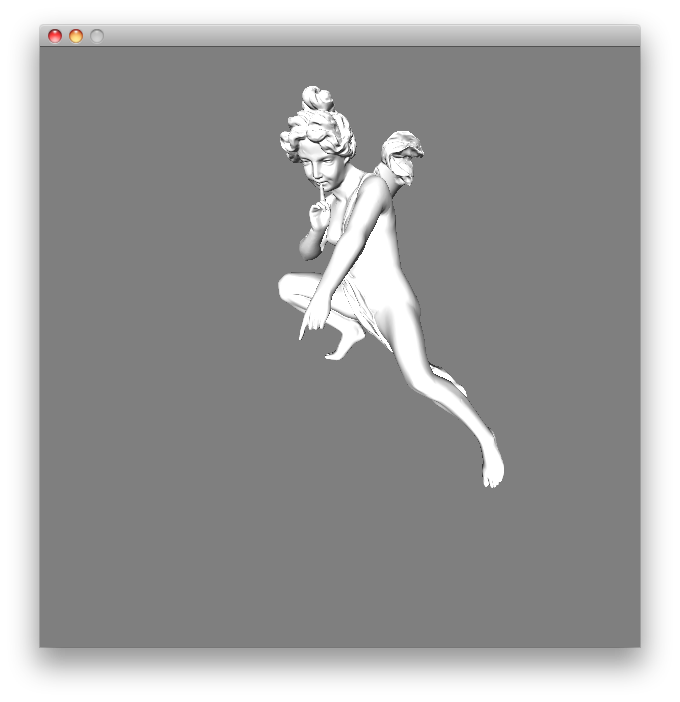 The same Angel Model lit after Normal data was generated automatically by Vortex. Normal generation does come at a cost, however. The 3D model depicted in the figures above is composed of 237,018 vertices shared among 474,048 triangles. In order to produce smooth normals, the generation algorithm must study the triangle adjacency for every vertex and produce exactly one normal for every one. On the machine the algorithm was developed, a Core 2 Duo @ 2.66 GHz with 4GB of RAM and for the Angel model, this process takes about 841.334 seconds, that is about 14 minutes! The good news is that given a model, its Normals only need to be generated once. Once the application has the normal data, it can cache it and reuse it every time the model is to be added to a scene, avoiding the computation time altogether. This gives the developer the opportunity to generate all Normal data offline and then having it attached to the model at runtime.